The News-Express is home to the regions only offset web press, capable of printing 30,000 copies an hour on up to 24 broad sheet pages in each section with 8 full pages of process color. With two computer to plate machines we are capable of printing up to 18 runs a day, and consistently print over 15 million pages per month. Our current printing footprint spans from Ashland Key to Big Stone Gap Virginia. And west from Breathitt county, east to Mingo Co. West Virginia. Kansa inserting machines neatly place preprinted inserts into the jacket of any broad sheet section. 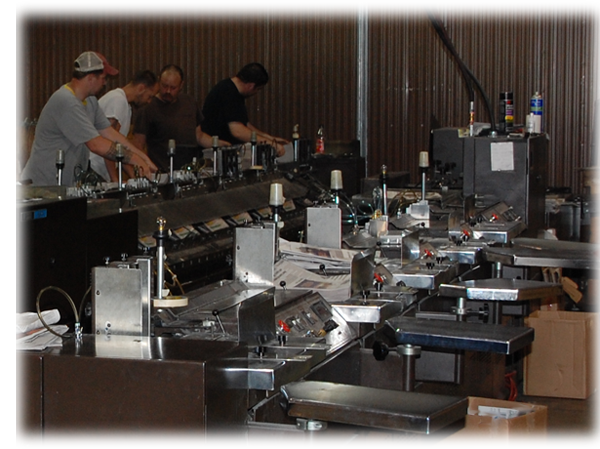 Our 11 full time employees have the ability to manufacture multiple newspapers nightly and handle over 2 million inserts monthly. Multiple Kirk Rudy mailing systems spray your customers name directly onto the newspaper following US postal service regulations. The News-Express also offers sheet-fed, magazine quality printing for single page flyers and brochures to stitched and trimmed magazines on a state-of-the-art Ryobi press. We will deliver your completed products to your office or directly to the US post office.